God gave us brains and made us in His image. Part of that means we are meant to use our intellectual and artistic skills to grow in creativity and knowledge. 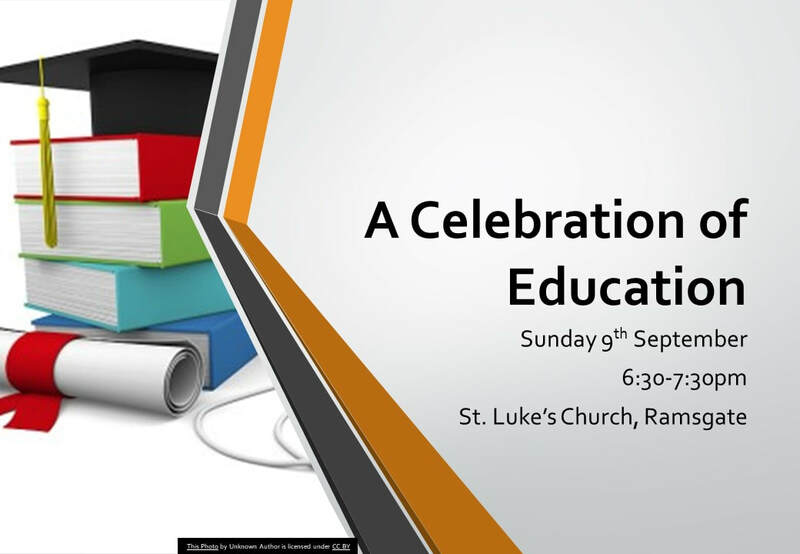 This service will celebrate all the learning and creative activities done by students at St. Luke's over the last academic year. It will also be a chance to pray for those setting out on new courses or careers. Whether you have just completed your GCSEs or a Masters degree, do come along and bring a piece of work (essay, piece of art work, music, creative writing etc.) which represents your learning over the last year as we join together to give thanks to God for all the learning of the last year.